“Conservation science can be a frustrating discipline. It often feels like we just spend our time describing problems in ever-greater detail. 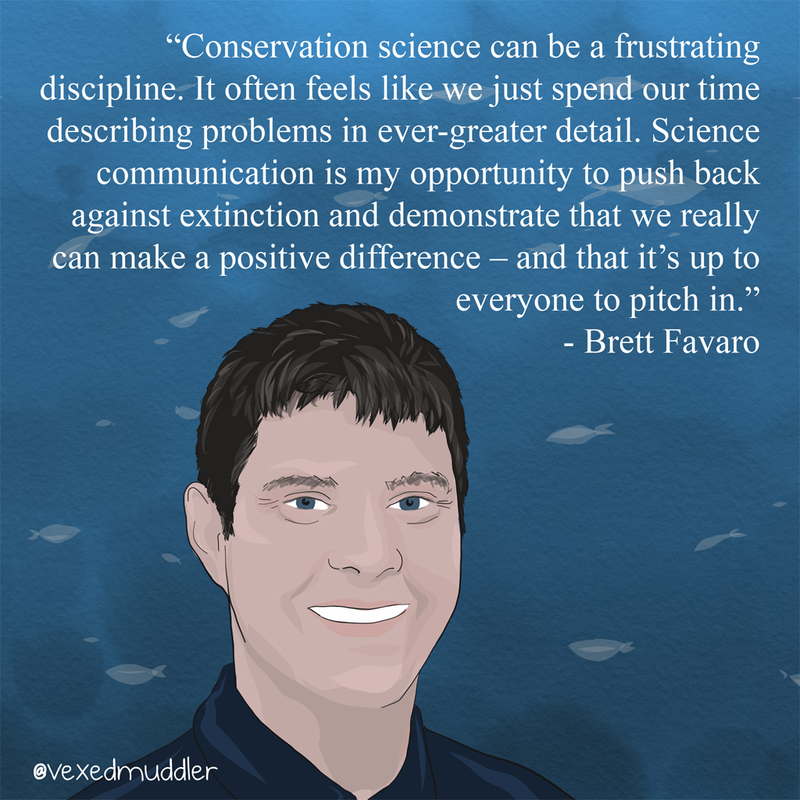 Science communication is my opportunity to push back against extinction and demonstrate that we really can make a positive difference – and that it’s up to everyone to pitch in.” – Brett Favaro, research scientist and instructor at the Fisheries and Marine Institute of Memorial University. Originally posted on September 14, 2016.